Lakestone Lodge is exclusively positioned on the southern shores of Lake Pukaki with some of the most spectacular scenery in the country. The off-grid eco lodge has been designed to maximise the panoramic views. 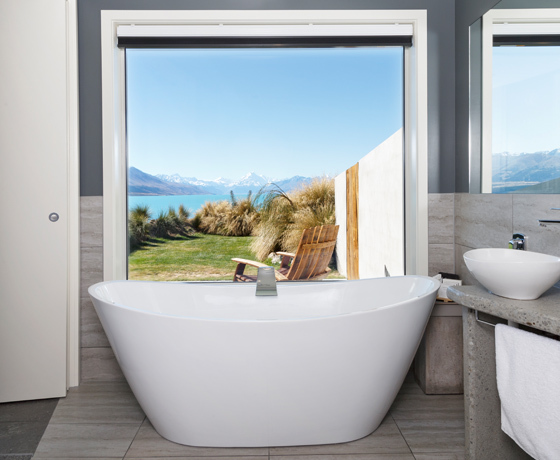 Every room and bathroom share stunning views northward over Lake Pukaki to the Southern Alps. On calm days New Zealand’s highest mountain, Aoraki/Mount Cook, can be seen reflected in the turquoise glacial waters of the lake. In contrast, mountain storms rolling in over the alps, can be viewed from the comfort and warmth of this luxurious lodge. 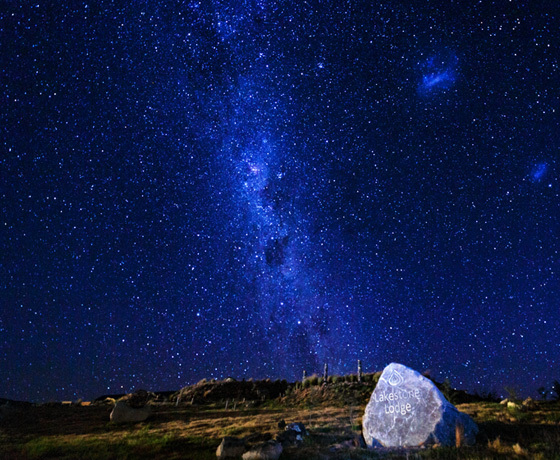 In the evenings, after watching the sun setting over the mountains, guests can enjoy some of the clearest night skies in the world as Lakestone Lodge is located in the heart of the Aoraki Mackenzie International Dark Sky Reserve. 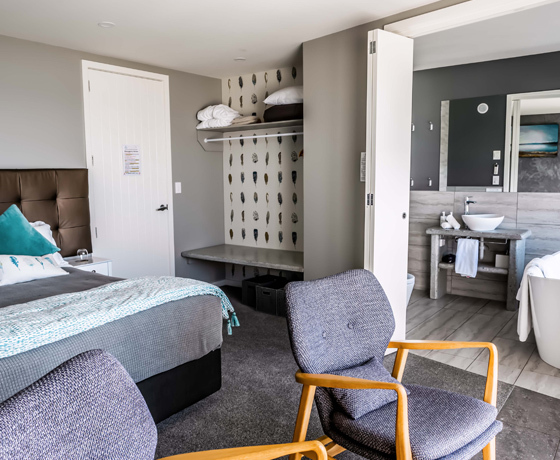 Lakestone Lodge, centrally located, is an ideal base for exploring Aoraki/Mount Cook and the rest of the Mackenzie District as well as for relaxing and for making use of unlimited photographic opportunities. How to find Lakestone Lodge? The lodge is easily accessible by either vehicle or helicopter. 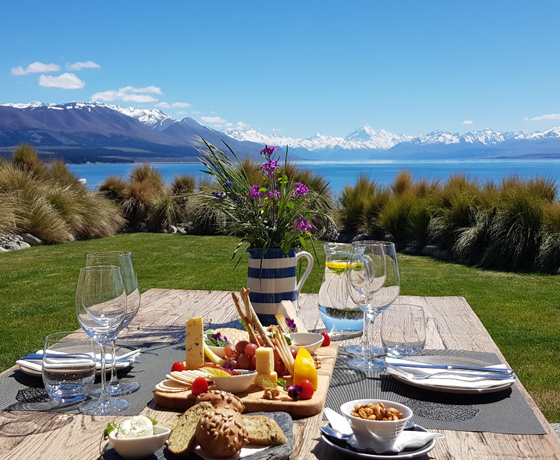 Conveniently located on the shores of Lake Pukaki in the heart of the Mackenzie Basin, Lakestone Lodge is nestled on the hill above the Tekapo – Twizel Road (State Highway 8).